Traveling outside of your home country can be a great experience. Whether you’re studying abroad or visiting a foreign place with your family, it’s nice to get an experience you can’t get at home. However, in many cases, traveling outside of the country is going to cost much more. If you’re yearning for that foreign experience but want to stay more in your budget, here are five exotic U.S. destinations. The northernmost point of America is Barrow, Alaska, which is home to the largest Eskimo communities in the world. The scenery consists of mountain ranges and coastal planes, and you’ll spot caribou, whales, seals, polar bears, and walruses in this tundra. Despite freezing temperatures, there is a lot to do to take in the arctic experience. Tour groups offer backpacking, dog sledding, camping, and river rafting trips. There are many wildlife adventure tours that allow you to explore the area. Check out the Arctic National Park and the Arctic National Wildlife Refuge which are located in this region as well. To save, keep an eye out for deals and promotions with Alaska Airlines. You can’t drive to the city, so you’ll need to factor in airfare in your budget. If you’re in the market for a new credit card and are interested in this trip, you can apply for the Alaska Airlines credit card with a 30,000 Mile Sign Up Bonus. Since it’s so cold here, you’ll want to plan this trip in advance so in spring you can stock up on heavy, durable cold weather clothing for cheap. This large Texas city is touching Mexico and more than 80% of the population is Hispanic. The Hispanic culture is evident in not only the population, but in the food, the ethnic clothing stores, architecture, and art. The city may feel like Mexico, but it also takes influences from Spanish settlers, Native Americans, and of course, the Western American culture since that is where it dwells. Visit El Paso’s visitor’s website to find out when they are offering free festivals and information on their other free attractions. The area offers great hiking, running, and biking trails which are free activities if you’ve already got your equipment with you. There are also plenty of free parks to take the kids. Embrace the authentic food to get a true experience. Look for deals on dining with Groupon, Restaurant.com, and local specials and deals. When you’re dining, opt for eating a larger meal at lunch which is often cheaper than dinner. Head just 15 miles south of Miami, and you’re in a tropical paradise. Key Largo, Islamorada, Marathon, the Big Pine Key and Lower Keys, and Key West make up the Florida Keys. Located in the subtropics with weather similar to the Caribbean, you’ll definitely feel like you’ve left the United States. Florida palm trees are great, but in the keys, you’ll find coconut trees, papaya growing, and of course, key limes. Here you’ll also find the only coral reef in America. The beautiful turquoise water is home to sea turtles, exotic fish, and the perfect place to snorkel, scuba dive, and deep sea fish. The island chain is 120 miles long and is accessible by car so you can drive here as well and turn it into a budget friendly road trip. It’s a four hour drive from Orlando and an hour drive from Miami. Relaxing on the beach with a book, enjoying the scenery, and walking along the coast are all budget-friendly options here. There is no admission fee to the Florida Keys Wild Bird Center, the Rain Barrel Artisans’ Village, Windley Key Fossil Reef Geological State Park, Long Key Bridge fishing, Sombrero Beach, Bahia Honda State Park, and many more. Check out VisitFlorida.com for budget friendly tips, coupons, deals, and other promotions to visit The Keys. The Navajo Nation stretches across Utah, Arizona, and New Mexico, and is home to indigenous people that combine an old world and new world way of life. 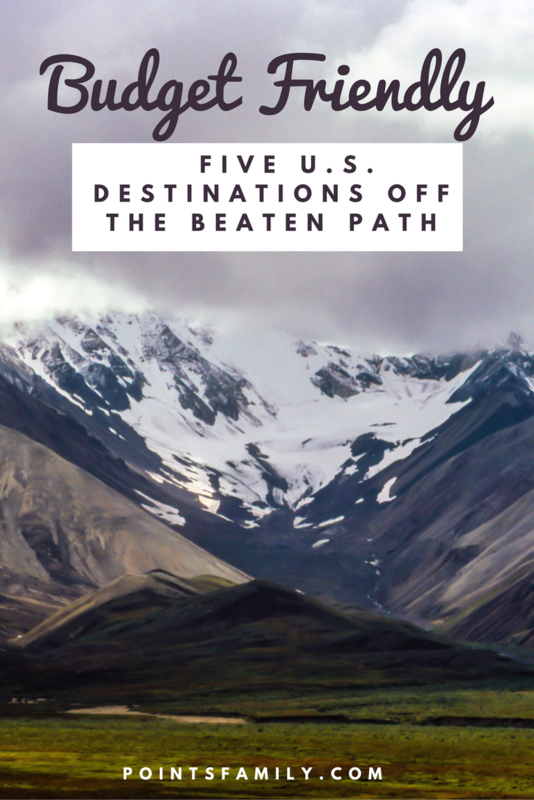 If the ancient ruins, sacred monuments, canyons, and deserts don’t make you feel like you’ve stepped outside of the U.S., then a complete different set of laws will. There are quiet hours, no alcohol allowed, and many of the areas are sacred and forbidden so it’s best to stick with a guide. Many of the residents speak Navajo. Trading posts are still preserved today and are selling hand made pottery, art, and Navajo textiles. To take in the red stone walls, check out the Navajo National Monument, Chaco Culture National Historical Park, and enjoy hiking and horseback riding on a designated trail. Although you’ll want to capture its beauty, be aware of the area’s policy on photography since many areas don’t condone it. To find deals on lodging, check out Hotels.com. Also, visit the website of the actual hotel to see if they are offering their own deals or promotions. Located in Southern Louisiana, the phrase bayou literally means small stream. The mucky, still waters are home to alligators, crocodiles, and frogs. The other water life like crawfish, shrimp, shellfish, and catfish are readily found in the area’s cuisine. Besides the seafood, the food is heavily influenced by the eclectic ethnicities that call the Bayou home. The Cajun and Creole culture, made up of French-Canadians, Spanish, Germans, Africans, and Irish, set their own pace and culture to this area. Keep an eye on Groupon and on their visitor’s website for deals on tours of the bayou to get an up close look at the wildlife. Find deals for dining to get a true taste of the bayou. 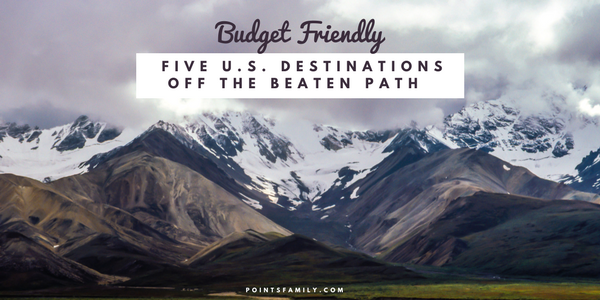 What is your favorite, budget-friendly place to visit in the United States? Have you ever been to any of these places listed? If so, what did you think? Give us your travel tips for these areas and tell us how you saved while you were there. ← How Many Frequent Flyer Miles Do You Need to Fly for Free?